Paradise-flycatchers and monarchs are small to medium in size, from 5-21 in (13-53 cm), although the tail can account for 6 in (15 cm) of the largest species. The bill is wide, typically blue-gray, with a fringe of well-developed bristles around the gape, and many species have a keeled ridge on the upper mandible. The Monarchidae have short legs, small and sharp, curved claws, and relatively long wings, but the tail length varies from short to incredibly long. The plumage is often brightly colored, and many species have impressive crests. 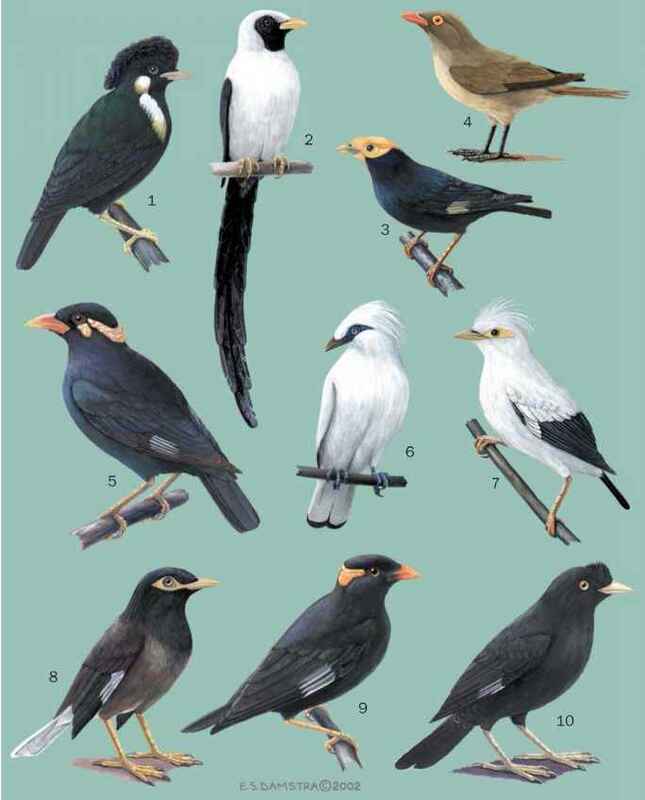 Most show no plumage differences between males and females, although in a few species the sexual dimorphism is dramatically exaggerated.